For over a decade, Brisbane Bathroom Renovations has been creating beautiful bathrooms in the Brisbane area. What began as a small family business working on just a handful of bathrooms per year has grown into Brisbane’s premier bathroom renovation company, renovating up to 70 bathrooms each year, with hundreds of satisfied customers. We specialize in complete residential bathroom renovations, from free-standing properties to townhouses and apartments. 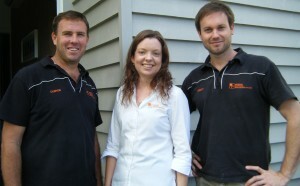 Brisbane Bathroom Renovations was founded in 2004 by Ashley Liddelow and Clinton Hannila. Ashley had his start in the tiling and waterproofing trades, Clinton in carpentry and building, and together they have undertaken many construction projects, including building and renovating entire properties. 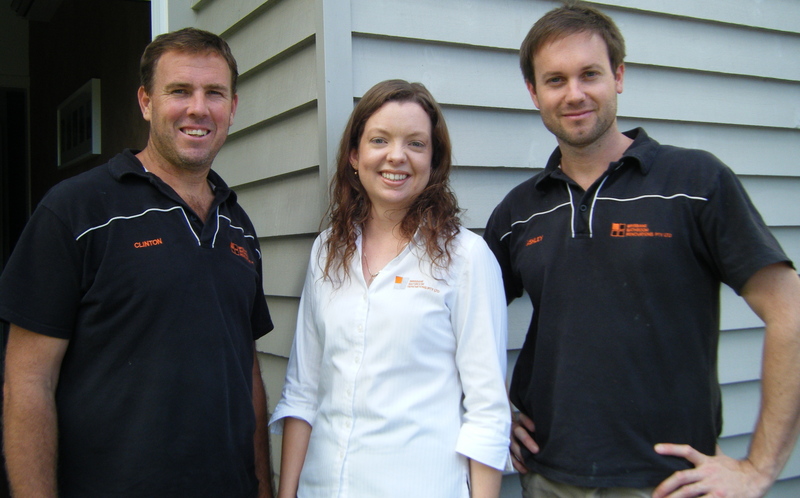 Clinton and Ashley have over 40 years combined experience in the building industry, and have renovated over 700 bathrooms in the Brisbane area. In 2008 Danielle Berry joined the team, and is your first point of contact in the office. We employ a professional team of tradespeople, and frequently we receive feedback from our clients about how polite and friendly our team members are. Our company has formed strong networks with many reliable suppliers, and we are very proud of our excellent reputation with customers, suppliers and within the building industry. Our company is fully licensed and insured, and we keep up to date with the latest trends and innovations in the bathroom renovation industry. We hold Queensland Building & Construction Commission Open Builder Class License # 1084038, and we are active members of the Housing Industry Association. Our office is located in North Brisbane at Geebung, and Danielle can be contacted to discuss the options for your new bathroom on 3266 2216, Monday to Thursday.